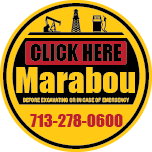 Marabou delivers comprehensive administration and reporting services for both gas we manage and that marketed elsewhere. With an ever increasing regulatory reporting burden and inherently demanding administration environment, it makes sense to utilize the experience and capability Marabou offers. Contact us to explore your options!